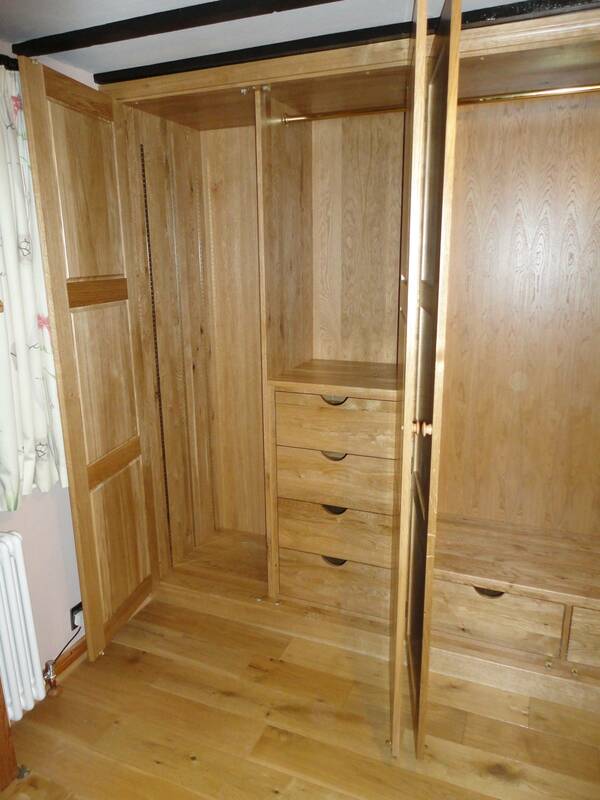 Clients from Burwash East Sussex commissioned a fitted wardrobe in solid oak to fit in an alcove. As with many cottages the only way into the room is in flat pack form. Prefinished components were assembled and fitted into place, with the fillets scribed to the walls to give a neat finish. 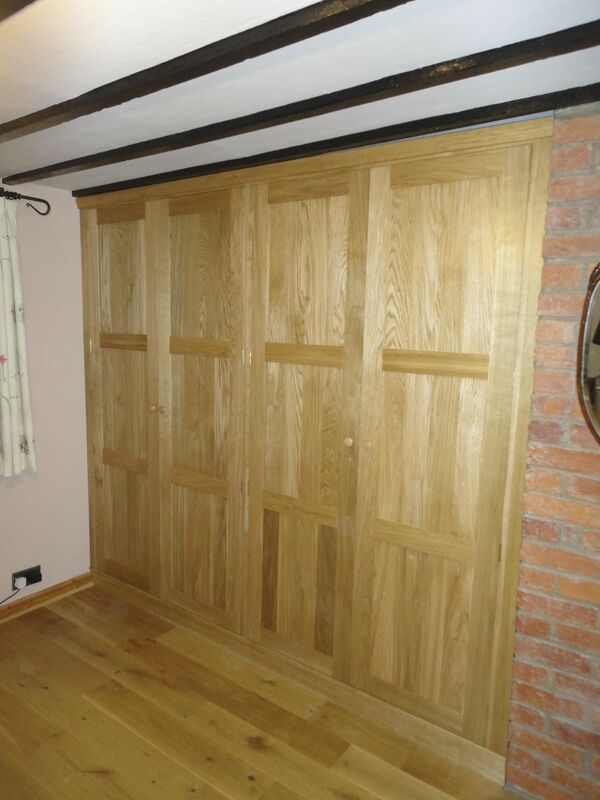 The dovetailed drawers were fitted on soft close runners for a luxurious feel, and mirror with safety backing mounted on the inside of the door. 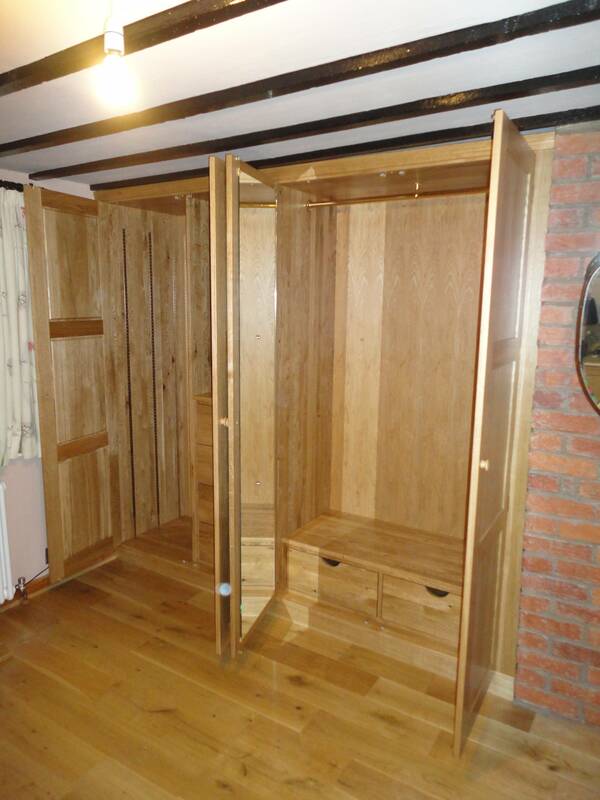 Many pieces of furniture have to fit into awkward, out of square or uneven spaces, we like a challenge so why not give us a call. 01580 830667.